The Internet of Things (IoT) is an ongoing journey. Three years ago, when I entered this business, the world of IoT was in its infancy. Traditional industry technology adopters understood the importance of innovation and implemented isolated solutions to address discrete business issues such as inventory management, loss prevention, logistics management, and other such processes that could be automated. Digital transformation requires that these solutions be connected so that the data can be collected and analyzed more effectively across systems to drive exponential improvements in operations, profitability, and customer and employee loyalty. The advent of sensors and analytics at the edge plus advancements in cloud platforms and data analytics is enabling this. Systems and services are now connected to provide more holistic solutions that deliver value through operational or profitability improvements and in many cases, through new revenue streams. The creation of these solutions typically requires an ecosystem of partners. This is where Microsoft provides a distinct advantage, through our partner-plus-platform-approach, that is driving change in IoT technology adoption. Microsoft has committed $5 billion in IoT-focused investments to grow and support our partner ecosystem–specifically through unrelenting R&D innovation in critical areas, like security, new development tools and intelligent services, artificial intelligence, and emerging technologies. Our goal is to create trusted, connected solutions that improve business and customer experiences as well as the daily lives of people all over the world. We have some excellent examples of partners who have developed business applications that leverage advanced analytics to deliver intelligent action executed on the Microsoft platform. The retail industry is not new to technology. However, with the advancement of digital technology, customer expectations have evolved rapidly, which is impacting nearly every aspect of how retailers operate, including how they engage customers and handle their products. There is a growing need to increase connectivity across solutions, such as digital signage, interactive kiosks, smart PoS systems, and omni-channel and other key systems, that typically consist of a range of platforms and applications from multiple vendors. The meldCX platform, powered by Microsoft Azure, makes it simpler and more cost-effective for retailers to develop, deploy, and manage the applications and IoT solutions for these connected devices. meldCX, a partner headquartered in Australia with operations in key global markets including USA, EU, and Asia, provides a single, integrated, and powerful dashboard that enables real-time data analysis as well as device and application control, empowering the retailer to focus on the job of delivering the best customer experience. Leveraging the meldCX solution, retailers and retail suppliers can improve the customer experience, significantly reduce loss prevention challenges, and enable unstaffed retail stores to become a reality. Microsoft is committed to the success of our partners, and this is manifested in several ways. First, we continue to build, support, and engage our rich ecosystem of partners, which connects partners with complementary capabilities to accelerate solution development and delivery for customers. Partners are connected to opportunities that they may not have otherwise been part of. Second, we have established a core group of solution aggregator partners that have the resources, expertise, and service offerings needed to deliver holistic, end-to-end solutions for customers, thereby simplifying the procurement process. Third, we have built a set of solution accelerators. These first-party, open-source, and preconfigured solutions are based on a common framework and address specific IoT use cases (horizontal and vertical-based). Partners can leverage these accelerators as a starting point to fast-track solution development and speed time to market. Accelerators also help them to minimize risk, reduce development costs, and focus on unique value differentiation. Microsoft partners are also creating third-party, open-source solution accelerators, building platforms that can be used by other partners and customers to speed their solution development and time to value. WillowTwin™ epitomizes this approach. Based on the Azure Digital Twin platform, Willow is empowering people and organizations to connect with the built world in a whole new way. Willow has created a solution that brings together data from multiple sources, including static, historical, IOT devices, and live operating data, to create actionable insights designed to transform the operation and experience of smart buildings and infrastructure networks. Developers and owners can now make decisions around how their company is addressing energy efficiency, spatial utilization, occupant experience, and the regulatory compliance of buildings and infrastructure networks. WillowTwin goes beyond connecting and managing IoT devices. The data, managed in an open protocol software platform, is capable of modelling the relationship and interactions between people, places, and devices. The WillowTwin solution has been implemented across a range of customers including Thyssenkrupp Elevator division to optimize building usage and management. Together with our partners, Microsoft delivers solutions that genuinely transform our customers' business. Real business model transformation must be a planned outcome. Directly addressing operational efficiencies or the bottom line is not enough. In a world where people are always connected, expectations have shifted. We expect a value/information exchange, and organizations must be prepared to rise to those expectations. Organizations that reimagine their approach and transform the way their employees, customers, and constituents interact with and use their services have the highest chance of success in the digital transformation race. IoT is a great place to start. 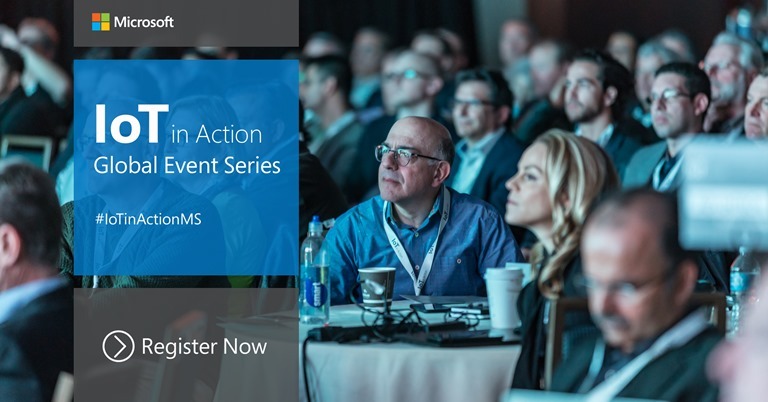 To learn more, register for Microsoft IoT in Action event in Sydney on Tuesday, March 19, 2019. This global in-person event provides a forum for partners and customers to meet and share their experiences and to hear first-hand from Microsoft how we are delivering digital transformation solutions. I hope to meet you there. Please also visit our event series website for an upcoming event in a city near you.